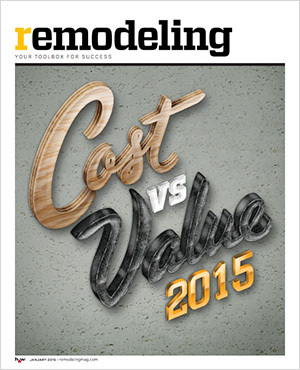 NORTH WILKESBORO, N.C., Feb. 13th, 2015 – This month, Remodeling Magazine released its 2015 Cost vs. Value Report for 102 U.S. markets. This annual report looks at the average cost of 36 popular home remodeling projects and compares them to the value that they will return upon resale. This year’s report recognized several Window World products as investments with the highest return in value. In popular markets across the United States, such as Atlanta, Charlotte, Denver, Chicago, Seattle and more, vinyl window replacements returned an average of 72.9% of the homeowners’ investment upon resale. And, replacement windows were not the only Window World service ranked high on the list. Vinyl siding and entry door replacement also came in on top. In fact, mid-range vinyl siding projects were one out of only five projects that rose in value in 2015. While many other projects dropped significantly in predicted value compared to 2014, window projects experienced a very minimal change with no more than 2.1 average points lower than 2014. Mid-range and upscale window projects ranked between 9th and 16th in overall payback. Window World is always excited to help homeowners across the nation improve their home’s curb appeal, and increase the value of their home. Having Window World products top this year’s Cost vs. Value report reinforces the value of home improvement projects and the importance of replacing windows, doors and siding when necessary. See the full Cost vs. Value report here. Window World®, headquartered in North Wilkesboro, N.C., is America’s largest replacement window and exterior remodeling company with more than 200 locally owned and operated offices nationwide. Founded in 1995, the company sells and installs windows, siding, doors and other exterior products, with a total of over 10 million windows sold to date. For the second consecutive year, Window World ranked “Highest in Customer Satisfaction with Windows and Doors” by J.D. Power. Window World is an ENERGY STAR® partner and its window products have earned the Good Housekeeping Seal for seven consecutive years. For more information about Window World, visit www.WindowWorld.com or call 1-800 NEXT WINDOW. We couldn't be happier with our experience! They were always on time (or a little early! ), answered all our questions, installed the windows quickly but with great attention to finishing touches to make them look amazing. We would definitely recommend them! I am totally thrilled with Window World. From beginning to end they did an absolutely fantastic job installing eight custom fit dual pane windows with grids. The customer service is amazing, they were always on time and extremely professional.